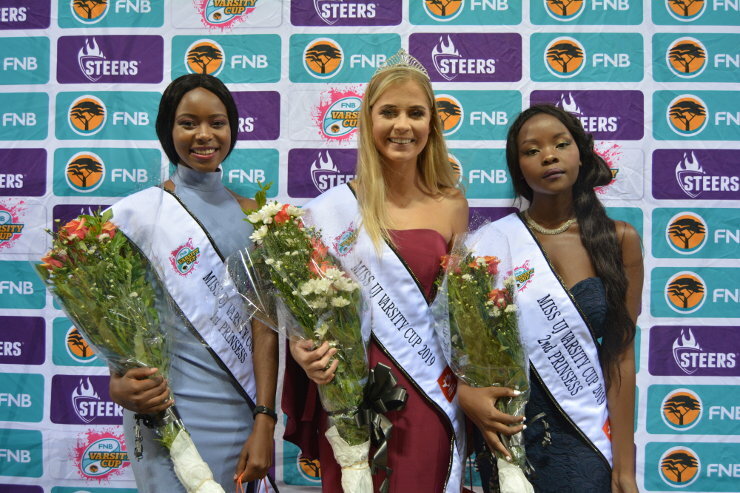 University of Johannesburg student Shandre Hoffman was crowned Miss UJ Varsity Cup in the final ceremony at the UJ Stadium in Johannesburg on Monday. The industrial sociology masters student received the top award, with Mohau Matinketsa the first princess and Mavelous Mhlanga the second princess. Hoffman said she had entered the Miss UJ Varsity Cup contest as she was a strong advocate of social change.